2.3 These Terms were last updated on 12 June 2017. Youmeans you or, if clause 1.1b applies, both you and the other person on whose behalf you are acting. (including when setting up an account), and must promptly update that information as required so that the information remains true, current and complete. other person to use your User ID, including not disclosing or providing it to any other person; and b immediately notify us if you become aware of any disclosure or unauthorised use of your User ID, by sending an email to info@daniandersen.com. 4.4 You must obtain our written permission to establish a link to our Website. If you wish to do so, email your request to info@daniandersen.com. the transfer of your personal information to countries which have less legal protection for personal information than New Zealand. 8.7 You have the right to request access to and correction of any of the personal information we hold about you. If you would like to exercise these rights, please email us at info@daniandersen.com. Cleopatra International Ltd ("us", "we", or "our") operates the https://daniandersen.com website (the "Service"). You have the ability to accept or decline cookies. Most Web browsers automatically accept cookies, but you can usually modify your browser setting to decline cookies if you prefer. If you choose to decline cookies, you may not be able to fully experience the interactive features of the Cleopatra International Limited websites you visit. Cleopatra International Ltd will also retain Usage Data for internal analysis purposes. Usage Data is generally retained for a shorter period of time, except when this data is used to strengthen the security or to improve the functionality of our Service, or we are legally obligated to retain this data for longer time periods. Under certain circumstances, Cleopatra International Ltd may be required to disclose your Personal Data if required to do so by law or in response to valid requests by public authorities (e.g. a court or a government agency). If you are a resident of the European Economic Area (EEA), you have certain data protection rights. Cleopatra International Ltd aims to take reasonable steps to allow you to correct, amend, delete, or limit the use of your Personal Data. The right to withdraw consent. You also have the right to withdraw your consent at any time where Cleopatra International Ltd relied on your consent to process your personal information. HOW DOES CLEOPATRA INTERNATIONAL LIMITED USE PERSONAL INFORMATION? Cleopatra International Limited may keep and use personal information we collect from or about you to provide you with access to this web site or other products or services, to respond to your requests, to bill you for products/services you purchased, and to provide ongoing service and support, to contact you with information that might be of interest to you, including information about products and services of ours and of others, or ask for your opinion about our products or the products of others, for record keeping and analytical purposes and to research, develop and improve programs, products, services and content. DOES CLEOPATRA INTERNATIONAL LIMITED SHARE PERSONAL INFORMATION WITH OTHERS? This site may provide public discussions on various business valuation topics. Please note that any information you post in these discussions will become public, so please do not post sensitive information in the public discussions. Whenever you publicly disclose information online, that information could be collected and used by others. We are not responsible for any action or policies of any third parties who collect information that users disclose in any such forums on the web site. Cleopatra International Limited does not agree or disagree with anything posted on the discussion board. Also remember that you must comply with our other published policies regarding postings on our public forums. You recognize and agree that we have made no implications, warranties, promises, suggestions, projections, representations or guarantees whatsoever to you about future prospects or earnings, or that you will earn any money, with respect to your purchase of Dani Andersen’s products and/or services, and that we have not authorized any such projection, promise, or representation by others. (i) The Economy. The economy, both where you do business, and on a national and even worldwide scale, creates additional uncertainty and economic risk. An economic recession or depression might negatively affect the results produced by Dani Andersen’s products and/or services. Internet businesses and earnings derived therefrom, involve unknown risks and are not suitable for everyone. You may not rely on any information presented on the website or otherwise provided by us, unless you do so with the knowledge and understanding that you can experience significant losses (including, but not limited to, the loss of any monies paid to purchase Dani Andersen’s products and/or services, and/or any monies spent setting up, operating, and/or marketing Dani Andersen’s products and/or services, and further, that you may have no earnings at all (whether monetary or advertising credits, whether convertible to cash or not). (v) Purchase Price. Although we believe the price is fair for the value that you receive, you understand and agree that the purchase price for Dani Andersen’s products and/or services has been arbitrarily set by us. This price bears no relationship to objective standards. 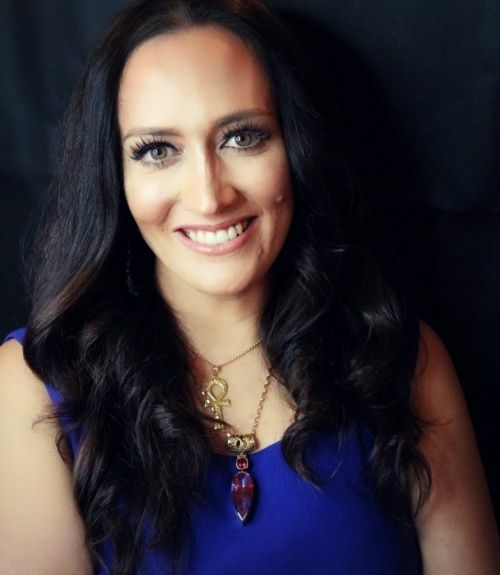 The Empowerment Queen™, Dani Andersen is passionate about inspiring and empowering people to live their highest potential. 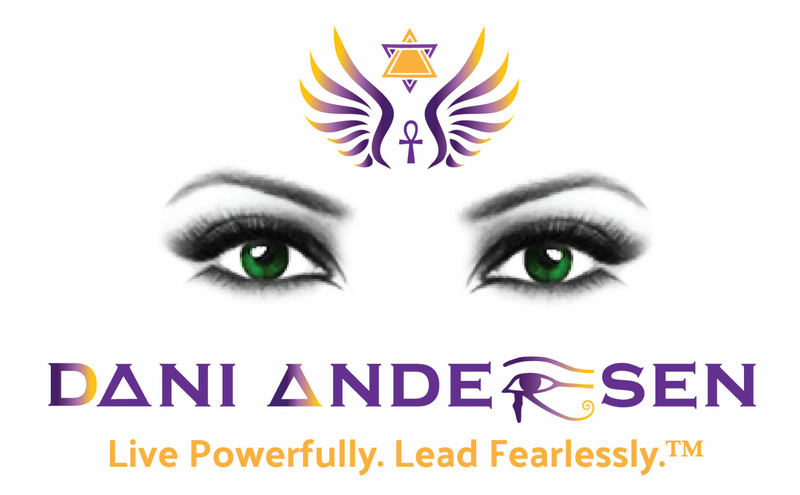 Dani works with conscious Entrepreneurs , Leaders and Executives to help them unlock their hidden power using the secret wisdom of the Pharaohs so that they can live powerfully, lead fearlessly and impact humanity. Privacy & Terms © 2017-2019 Cleopatra International LTD, LLC. All Rights Reserved.